Following is a summary of developments of General Aviation in Southeast Asia. Many countries in Asia are now realizing the importance of General Aviation for training pilots for their airlines and for developments of airports for greater transportation access in the country and the development of sport aviation as an entire industry to bring foreign exchange and tourism into the country. We recently visited Mongolia, and were very surprised. This is a country with 2.7 million people and 3 million horses. The next biggest road to Ulaan Baatar is Karokorim and it takes 6 hours to reach by dirt track through the Mongolian Steppe. 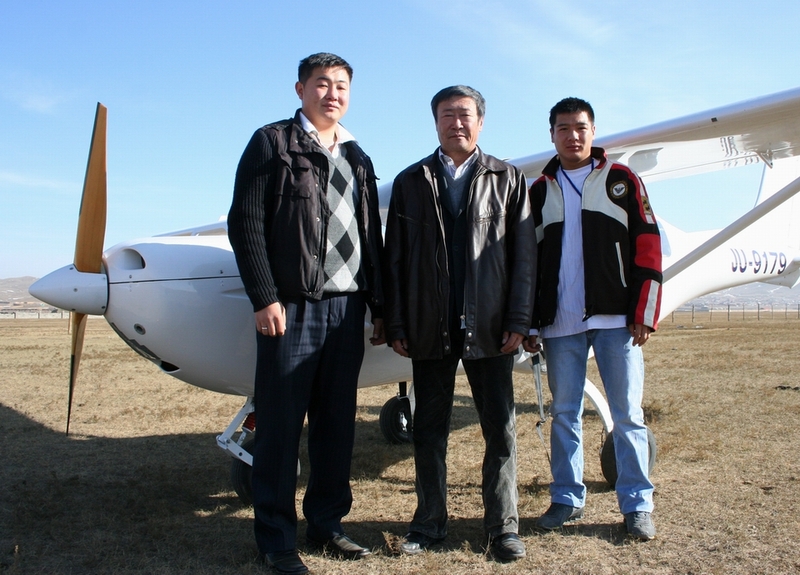 General Aviation has been growing in Mongolia since the country turned to Democracy in 1990. Blue Sky Aviation operates a Cessna Caravan and provides vital links to remote hunting and fishing camps and to oil and mineral prospecting sites for mining. They also do considerable transport of people on charter basis for missionary and tourism. There is a fledgling flying school that operates 2 Jabiru aircraft (2 seat and 4 seat). They are based at Ulaan Baatar main airport and fly 5 minutes to a nearby laterite strip that is 900 meters long and surrounded by cows. Communication is still a challenge in Mongolia, because the people speak Mongolian, and their language is written with Cyrillic characters. If you need a translator of information on arranging a flying visit to Mongolia, please contact our friendly representative -- Miss Altangerel Algaa -- www.greentaratours.com -- who is happy to arrange hotel booking, air tickets, train tickets, translating and booking for the flying club or flying school in Mongolia. Cambodia has been a great success. Their DCA has adopted the same regulations as the FAA in the United States, so there is clear organized structure for the country to develop General Aviation. The Cambodia Flying Club was formed in 2001, and since has seen the development of Royal Aviation Services grow out of Prince Rannaridh's passion for Aviation. There are many Khmer, English, French who have a passion for flying and who have been learning to fly in Cambodia -- www.cambodiaflyingclub.com. The only problem that General Aviation in Cambodia is facing at the moment is an excess in fees for flying around. Currently, every GA flight has to pay an Air Navigation Fee and this is about US$100, so it is too much and is hampering the growth and development of Aviation. The flying club is exempt, so this is a good start. We are very excited to see the developments in Laos. One of Thai Flying Club's members David Ma is based up there and he reports that the DCA has recently rewritten their rules, so that you can have single-engine operators flying around in Laos. One of our friends, Marc, has imported a Helio Courier from Africa, and he is assembling that to fly around in Laos. This is a beautiful country for flying, and at one point in their history, there were over 400 airstrips in Laos. This will definitely be an great boost for tourism and General Aviation if the country can continue to support aviation. Currently, there is still an air navigation fee in Laos, which needs to be reduced, because this is also over US$100 per flight and inhibits the growth of aviation there. Our club member David -- malee@laotel.com // and our Helio Owner Marc -- maleklao@yahoo.com. Malaysia is serious about developing General Aviation. You do not need a flight clearance to fly into Malaysia. You just file a flight plan and go. They have a vibrant industry building aircraft which they have been selling to Thailand and other countries. They have no air navigation fees, and they welcome light aircraft, because they know the value of flying clubs and sport aviation providing pilots to support their aviation industry. They have very good vision and simple easy rules. Singapore is a very small country, so there is really not anywhere to fly, but they do have several flying clubs and flying schools. They have good infrastructure and developed many shops for overhauling engines and propellers, and this is a good source of income and helps to continue developing their aviation industry. Indonesia is a vast and remote country that depends on safe aviation. We are going to investigate and find more information about this.